Nutritional supplements are a huge business in the United States, with most Americans taking at least one a day and many taking more than one, according to the National Institute of Health Office of Dietary Supplements. While nutrients obtained from eating a healthy diet is ideal, sometimes it is also impractical. Busy careers, raising a family, a social life, and even temporary illnesses often get in the way of eating a consistently balanced, healthy diet. Supplements can fill the gap, but shouldn’t be relied on as a sole source of nutrition. Vitamins, minerals, probiotics, and even herbal remedies are all classified as supplements. 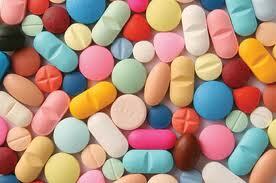 They come in a variety of forms, from powders and liquids to capsules and tablets. Even some types of foods and beverages- such as protein drinks and energy bars- are considered supplements. The most popular supplements include vitamin D and E, calcium, magnesium, fish oil, and glucosamine. The FDA requires all products labeled as a dietary supplement to include a label on the package that lists both the active and inactive ingredients, such as fillers, colorings, or flavors. While the manufacturer can suggest a serving size, it is just that- a suggestion. If you are taking supplements for a medical condition, your doctor’s instructions supersede any manufacturing suggestions. While the most common use of nutritional supplements is to fill the gap left between healthy eating and a busy lifestyle, they may also offer tremendous benefits for those seriously lacking in nutrients or suffering from a medical condition. Physicians often recommend calcium and Vitamin D supplements to those with osteoporosis or other bone-density conditions. Folic acid may help reduce the risk of birth defects, while iron supplements can help those with anemia. Even the FDA agrees that some niacin (vitamin B3) supplements can help lower bad cholesterol levels. Supplements used to treat medical conditions should be taken under the guidance of a physician, as dosages can vary drastically form the manufacturers recommendations. Unlike prescription and over-the-counter medications, the FDA does not regulate the safety of a supplement, but rather puts that responsibility solely on the manufacturer. Should the safety of the product come into question after it reaches the market, the FDA will step in to assess the situation and issue warnings. The only other time the FDA gets involved is when the product contains a completely new dietary ingredient. The lack of FDA regulation leads many people to believe that all supplements are safe. This is a dangerous assumption, as supplements can be extremely dangerous when used incorrectly. Our bodies exist within a very precarious balance, called homeostasis. A major part of that balance comes from having very specific levels of certain minerals. Potassium, for example, plays a crucial role in proper heart functioning. Taking in too much potassium can upset the balance and lead to hyperkalemia, a potentially fatal condition that can lead to a heart attack. Supplements can also interact with medications and lead to serious side effects. If you plan to take nutritional supplements, do your research first and make sure they don’t interfere with medications you may be taking or exacerbate any underlying medical conditions you may have.